who have crept through a slit in the sky. In a dark and dusty shop, a devil’s supply of human teeth grown dangerously low. and her bright blue hair actually grows out of her head that color. Who is she? That is the question that haunts her, and she’s about to find out. 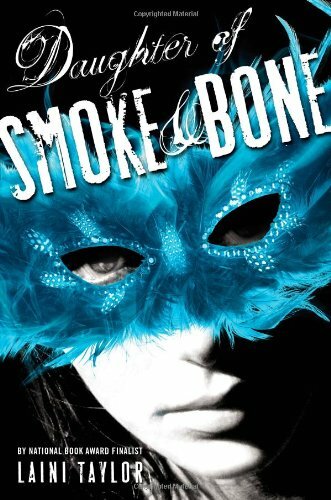 I had a hard time thinking of reading another book after finishing Daughter of Smoke and Bone. This is the most fantastic read of 2011 for me. The writing is utterly beautiful. The chapters so smooth as if they just lined up effortlessly. The words just flowed from the pages through me and touched me. I can’t explain it, and I think it is quite amazing how one work of fiction can evoke so many emotions, but I felt like I had been there before. Not like a trope that has been used time and time again or a set-up that felt old and familiar and completely unsurprising. But somehow it felt like coming home, like I’d walked those winding streets of Prague along Karou before. At a first glance, Karou may be someone to envy. She is young, beautiful and talented, she has a wonderful best friend and her own flat in Prague, decorated with artifacts and knick-knacks that she has picked up from her “trips” around the world. But there is a sadness surrounding her and a part missing inside her. She has to keep one of her realities unknown to the humans around her. Karou was raised by the chimaera Brimstone in his workshop in Prague. But this workshop is also in many other cities in countries around the world. 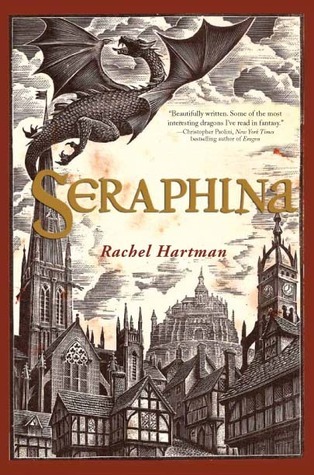 The front door can open to any of these cities and let Karou – who is not part human and part animal like the chimaera – out on a mission. What does Brimstone actually do with the stuff – most of it teeth – that Karou picks up for him? He pays for them with wishes, but no magic comes without suffering. Karou has seen some terrible things on her collection errands, and she tries to not dwell on them and comforts herself that things worked out well for those who had lost their teeth, unwillingly. Where does the other door in Brimstone’s study – the one that Karou has never seen open – really lead? As the book blurb states, black hand-prints start to appear on doorways around the world. On a trip to Marrakesh, where Karou meets with the only one of the human sellers of teeth that she has ever liked, (and who, by the way, is quite obsessed with the connection mustache =clever man: Nietzsche, Twain…), she becomes the target of the seraphim Akiva. He injures her and while she recuperates in the workshop – from which Brimstone is curiously absent – she gets a glimpse of another world before being unceremoniously turfed out by Brimstone and basically told she is not welcome again. From here, the story shifts up to a faster pace and the plot thickens. It turns out that Akiva might just know who she is, but will she like what it is he has to tell her? This book took hold of me and did not let go, still hasn’t. It is magical, it has loss and sorrow, friendship and impossible love. It is about the cost of war, about trust and betrayal and getting up and doing something about it. Read it – you won’t regret i! GoodReads Blurb: It’s been six weeks since angels of the apocalypse descended to demolish the modern world. Street gangs rule the day while fear and superstition rule the night. When warrior angels fly away with a helpless little girl, her seventeen-year-old sister Penryn will do anything to get her back. ABSOLUTELY RIVETING READ, I lay awake until 03.15 in the morning to finish this one. It was worth it. In northern California, Silicon Valley, we find Penryn and her family; her wheelchair bound younger sister and her schizophrenic mother, as they are leaving their flat where they have camped out following the attacks on earth by angels not long previously. Hardly any modern conveniences work – electricity and hot water are sporadic, cars are abandoned in big pile-ups on the streets; shops are looted, and gangs roam the neighbourhoods. Penryn, who is basically the head of the family, has decided that they stand a better chance at surviving if they try and make it into the forested hills. However, it is hard to be sneaky when your sister is in a wheelchair, and your mother is pulling a shopping trolley that she refuses to part with. This book is not about sweet angels. They are as cruel and twisted and selfish and ambitious as us humans can be. There are also some pretty gruesome scenes, they brought to my mind the sometimes extremely graphic details of the horrors that Kate Daniels comes face-to-face with in Ilona Andrews’s books. These scenes give the book a depth I often miss in YA where the challenges facing the main character are not believably difficult for me. There are no invincible warriors here (though the angels are certainly made of stern stuff and are able to heal much faster than a human) and no one – not even the angels – has the answers to everything. “Those were our online names,” says Dum. “But why go all doom and gloom?” asks Dee. “Not so much,” says Dee. This journey that she has undertaken, with her crazy mother hovering nearby (leaving clues to let Penryn know), is done in the company of the angel Raffe. Penryn realizes reluctantly that she needs to try and save him so that he can tell her how to get her sister back. Their attitude to each other is suspicious at first, but a mutual respect develops during the course of their travels. 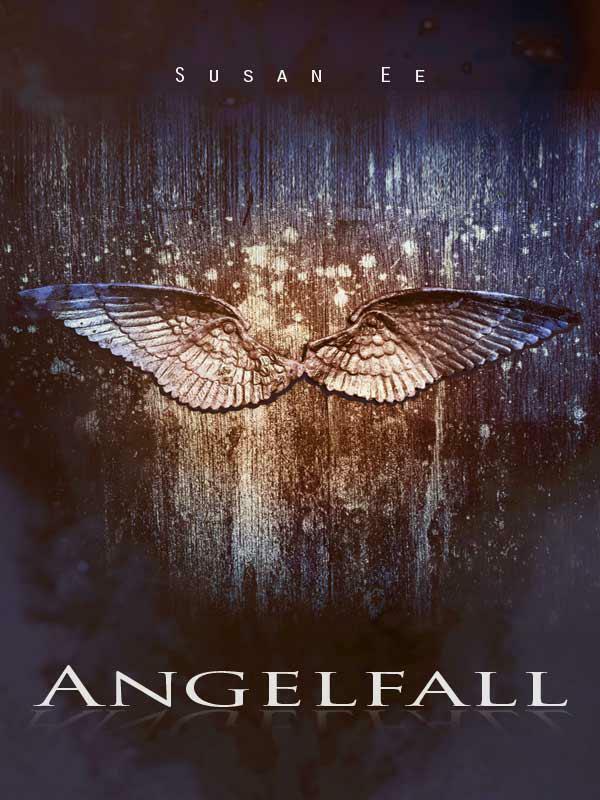 If you are looking for a fast-paced, dark and sinister but yet funny and extremely entertaining “angel dystopia”, Angelfall is definitely for you. Sturdier than Divergent and funnier that The Hunger Games. It is one of my favourite reads of 2011.